The European Data Relay System (EDRS) — dubbed the “SpaceDataHighway” by its private operator, Airbus — has passed another milestone. EDRS-A, the first satellite in what will eventually be a global constellation, has made its 20,000th successful optical link to its customer satellites since its launch in January 2016, marking a world first in laser communication in space. This milestone provides further evidence that ESA’s Partnership Projects initiative successfully develop sustainable end-to-end systems, right up to on-orbit validation. The system is a public-private partnership between ESA and Airbus, with significant investment by the German Space Administration DLR. 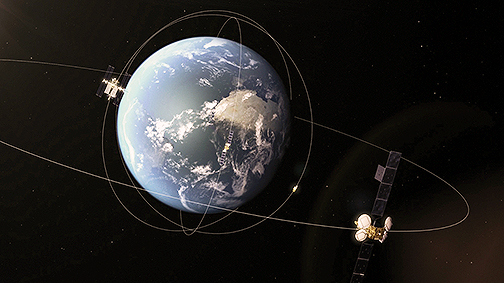 An artistic rendition of the first node of the European Data Relay System, EDRS-A, shown in geostationary orbit over Copernicus Sentinel-1 and -2, and the International Space Station. Image is courtesy of ESA. Satellites that are used to monitor the Earth operate from LEO and usually relay the information they have acquired only when they are in a direct line-of-sight with a ground antenna. EDRS-A rides much higher in the sky, where it can maintain a continuous connection with its ground stations and an almost permanent one with the low-Earth orbiting satellites. 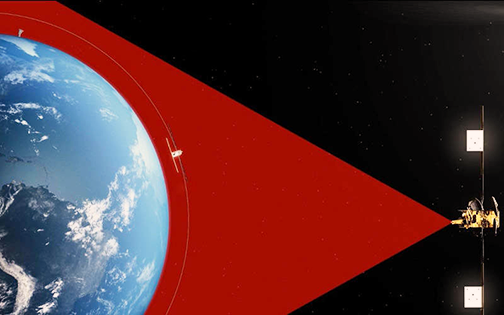 The system uses secure laser communication to receive data from the low-Earth orbiting satellites and beams the information back to Earth via radio frequency. At present, the system is used to collect information from the European Union’s Copernicus program of Earth Observation satellites. EDRS is due to start transmitting data from the Columbus module of the International Space Station later this year, and the system is also open to other commercial customers. over Europe. Image is courtesy of ESA. Michael Witting, EDRS project manager at the European Space Agency, said Earth observation satellites have orbits that mean having to wait up to 100 minutes to transmit information to the ground. That can be a problem when you need information immediately, for example, when trying to provide aid during flooding or wild fires, or help ships navigating through ice sheets. EDRS provides data to the ground rapidly because of its bird’s eye view from its geostationary orbit. 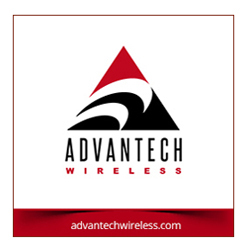 Its point-to-point transmission using cutting-edge laser communication technology means data can be transmitted at very high speeds, and it is hard to jam the signal or to eavesdrop on it. EDRS is another example of how ESA’s Partnership Projects federate industry around large-scale programs, achieving a competitive leap forward and economic impact.